This book is riveting and very enjoyable for our younger readers. It is jam-packed with mystery, and an added bonus is it is pocket-sized, so you can take it with you anywhere you like! This is the Fourth Adventure in the Kingdom of Fantasy Series. Geronimo Stilton is called upon by Sterling, the Queen of the Silver Dragons. The last existing Silver Dragon Egg has been stolen, and if Sterling and Geronimo don't return it within 7 days Sterling will be banned from the Kingdom of Fantasy forever. 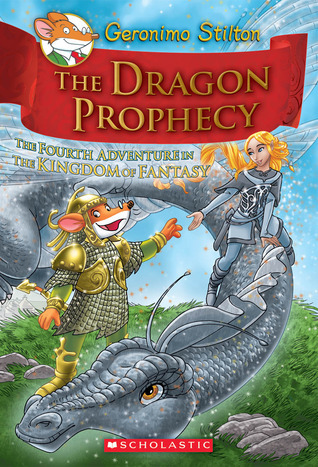 Find out what happens in "The Dragon Prophecy". This is probably the most entertaining book I have ever read! It is about Jamie Kelly and her friend Isabella. In the last book they started up a club called the student awareness committee. In their words they were certain it "died a dignified death" and then Angeline happens to become aware of something. Find out what happens in Dear Dumb Diary Year Two- What I Don,t Know Might Hurt Me. This book has a LOL around every corner. I found this book very interesting and informative. This book is from the TV Series "Tales from Te Papa", which is about all the behind-the-scenes secrets from Te Papa Museum. Bonus- this book comes with 2 DVDs from the Series. I didn't know that they had so many things stored away in Te Papa that aren't on permanent display for the public to view! This is the sequel to "Kiki - My Stylish Life". Coco is also a member of the Lotus Lane Girls' Club, and she loves cooking. When Coco is paired up with Mika, the new girl at school, she has a few problems. Will she make friends with Mika or will the problems prove to be too big to overcome? Find out in "Coco- My Delicious Life". Also for ages 6-8 years. Another great book by Kyla May. This book is about a girl called Kiki and her friends Coco and Lulu, who are in the "Lotus Lane Girls' Club". Kiki is fashion-crazy. When a new girl arrives next door Kiki becomes curious- but what will her friends think? Find out in Kiki - My Stylish Life. I recommend this book for ages 6-8 years. I liked this book because it reminds me of me and my friends. It also reminds me of when I was younger and I had my own club, like Kiki. This book is really funny. It is about a girl in middle school called Jamie Kelly. Her principal approaches her and tells her she should join some more extra-curricular activities. Her friend Isabella decides she will join in too, and signs them both up in heaps of clubs- she even makes one of her own! They hardly attend any of these clubs- will the principal find out or will they get away with it? Find out in this hilarious book you just can't put down! EJ 12 is back- and ready to rock! 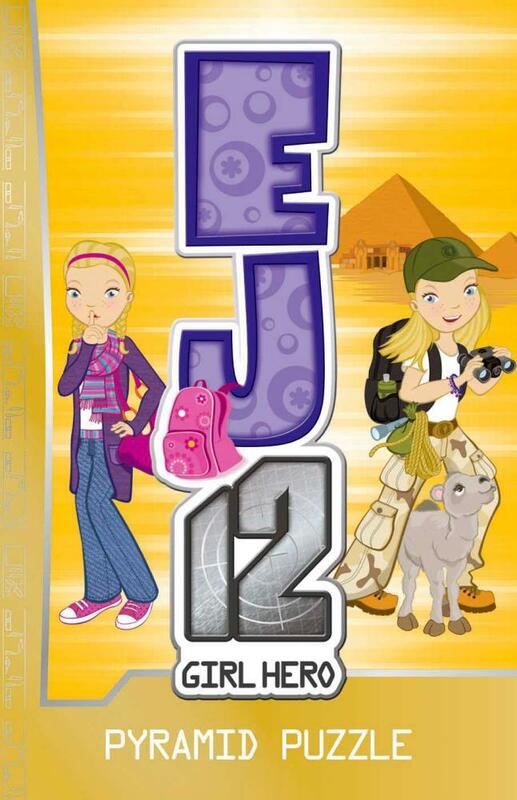 This is another book from the series about ordinary girl Emma Jacks, who is also secret agent EJ 12. SHADOW is back and evil-er than ever. Emma Jacks world is turned upside down when she discovers that favourite band, the Pink Shadows, might actually be a group of SHADOW agents working undercover. Read this book to find out what happens! I like this book because of all its twists and turns. It was a book that I couldn't put down! 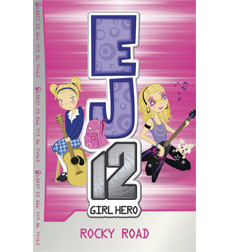 This is about an ordinary girl called Emma Jacks - who is secretly an agent, called EJ 12 Girl Hero! It all starts when the evil agency SHADOW uncovers a secret in an egyptian pyramid. Emma Jacks is sent on a mission to decipher the puzzle before SHADOW escapes with the agent treasure. Will she find it in time? Find out in EJ 12 Pyramid Puzzle. This book is good because it is intriguing and mysterious. I recommend this book for ages 8-10 years. This book is about a girl named Jessie who stays with her grandmother and finds the secret realm of the fairies. She must get her grandmother's bracelet back and be home before midnight. This book is adventurous, interesting and intriguing. This story is about yours truly, Geronimo Stilton. All he wants is a relaxing vacation, but when his family cancel his ticket for an exciting adventure through the mountains of South Dakota everything turns around for Mr Stilton. Will Mr Stilton ever be able to relax for even one moment? Read it and find out. This book is witty, funny and strange. This book is about the Thea Sisters getting a mysterious call from Ashvin in India. The monkeys are going out of control. They've started stealing jewelry. But who is behind this theft? Will the Thea sisters find it out in time for the Marajah's arrival? Find out in Thea Stilton and the Prince's Emerald. This book is a nail-biting, can't-put-down, L.O.L story with strange twists and an exciteful ending. This book is a graphic novel about a boy called Nate Wright who has two friends called Francis and Teddy. They plan to have the best summer ever. But Nate ends up having the worst summer of his life painting his grandparents house. When their school closes down due to toxic mould will he re-live his holiday? Or go to his arch rival - Jefferson's - School? 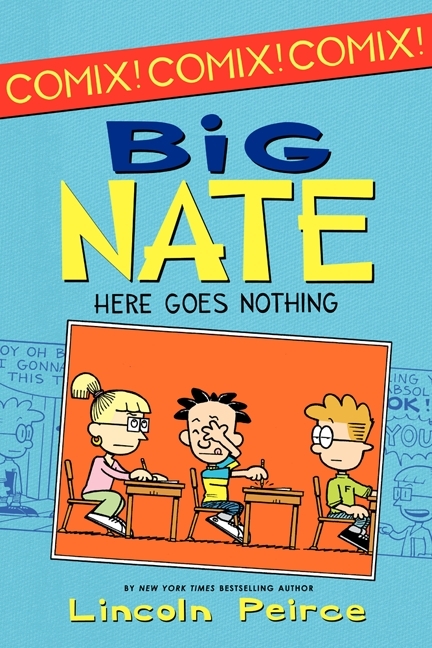 Find out in Big Nate-Here Goes Nothing. This book is funny- BIG TIME. Awesome- BIG TIME. And L.O.L - BIG TIME. This book is about Ben, a boy who is being bullied at school. He is afraid to tell his parents but they figure it out. 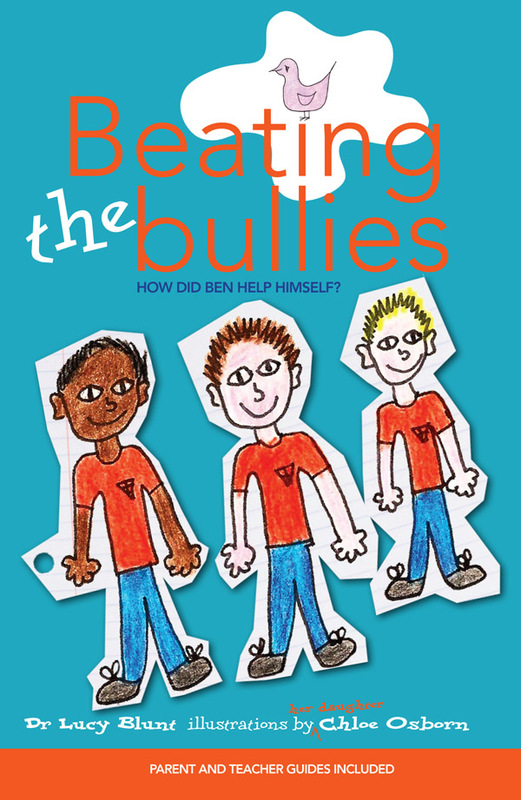 They take him to see their psychologist friend, Tania, to help Ben to stop the bullying. He takes Tania's terrific tips but will they work? Find out in Beating the Bullies. This book is interesting and informative. You will enjoy reading it, especially if you are having trouble making friends or you are being bullied. This book is the sequel to Little Wolf's Book of Badness and is twice the fun. It was good with exciting twists. It was funny, interesting and very surprising! It's all about Little Wolf and how he wants to make Cunning College into his own Amazing Adventure Academy. With the gold found everything seems to be in place. But what happens when his brother gets captured by the evil Mister Twister? 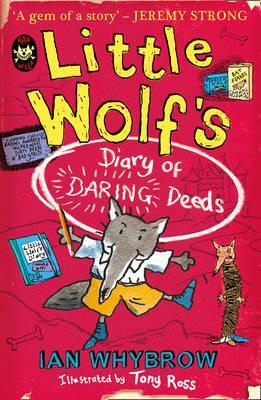 Find out when you read "Little Wolf's Diary of Daring Deeds". This book is about a mouse with an attitude problem. She dreams of being Queen of the World. But she'd settle with an invitation to Felicia Furrypaw's sleepover party. What will happen? Will she be invited? Will her best friend Wilson ever forgive her if she misses the Monster Movie Marathon? 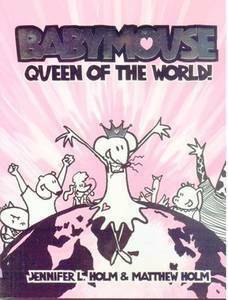 Find out in BabyMouse- Queen of the World. This Graphic Novel was written in 2005, and is the first in the series- but it is the best one yet. Read it and you'll be L.O.L - ing in no time! 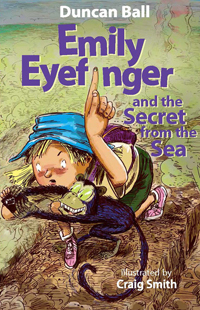 In this exciting new adventure Emily, the girl with an eye on her finger, is chased by gargoyles, rescues a movie star, catches The Ghost Gang, outsmarts master criminal Arthur Crim, and climbs into a computer to catch smart mice. Also she flies to the middle of the ocean with her great-aunt Olympia to search for the long-lost secret. It's interesting, funny and catches the attention of anybody who reads the back cover. This book is about an innocent little wolf who is sent to his uncle Big Bad's school, by his dad. All he wants to do is stay at home but he can't. To get home he has to earn his Gold Bad Badge. Will he ever earn his Gold Bad Badge? Will he ever return home to his cosy burrow. This book is a can't-put-down comedy you just have to read.